The Legend of Oescienne is an exciting fantasy adventure series that encompasses dragons, prophecies and heroes of mythic proportions. Humans have been extinct for centuries. So, when the dragon, Jaax, learns that a human infant has been found in Oescienne, he is skeptical. But upon seeing the blonde haired, blue eyed baby girl he takes responsibility for her, never revealing to her or anyone else the true nature of her existence. All her life Jahrra has heard stories pertaining to the legends of Oescienne, but never could she imagine she might have anything to do with them. She’s far too busy avoiding bullies at school and seeking adventure with her friends to worry about what her dragon mentor, Jaax, might be keeping from her. It most certainly never dawned on her that she might somehow play an integral role in the legendary prophecies of Oescienne. 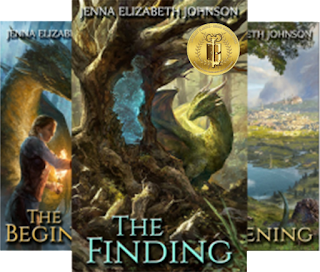 Author Jenna Elizabeth Johnson’s Legend of Oescienne series delights and entertains with each captivating book in this exciting collection. With powerful imagery, we are introduced to an enchanting world with a colorful array of mystical characters. 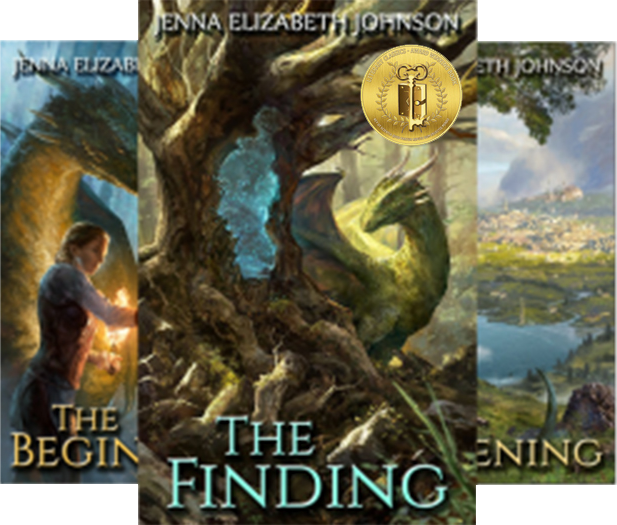 Each book leads seamlessly into the next, leaving the reader eagerly anticipating the next installment in the series. Finishing with an epic conclusion that does not disappoint, people who love fantasy fiction will thrill at the Legend of Oescienne series which is recommended for home and school libraries and has earned the Literary Classics Seal of Approval.